Like moms, more dads are sweating the work-life balance. While just 35 percent of dads reported such conflicts in 1977, today 60 percent struggle to bring up baby while bringing home the bacon. Have you seen the T-shirt slogan: Dads don’t babysit (it’s called “parenting”)? This slogan calls out the gendered language we often still use to talk about fathers. Babysitters are temporary caregivers who step in to help out the parents. But the fact is that fathers are spending more time with their children than ever before. In fact, American fathers today spend 65 percent more time with their children during the workday than they did 30 years ago. According to the 2016 National Study of the Changing Workforce, almost half of fathers in heterosexual relationships say they share caregiving responsibilities equally or take on a greater share of caregiving than their partner. This week we witnessed the release of the first State of America’s Fathers, a report that draws on numerous social science research studies as well as new analysis of the 2016 National Study of the Changing Workforce. As a sociologist who studies fatherhood worldwide, I think the most important message of this report is a simple one: Fathers are parents, too. But dads’ desire to “have it all,” as we once talked about in relation to working mothers, means that they are also having difficulties successfully combining work and family. The report, among other things, suggests that we need to pass paid, non-transferable, job-protected leave. I agree. The State of America’s Fathers report highlights that a majority of fathers experience work-life conflict, and that this has increased over time. For example, 60 percent of fathers in dual-earner families say they have problems balancing work and family, compared to 35 percent of such fathers in 1977. This is likely due to the fact that a majority of fathers feel they don’t spend enough time with their children. This situation may be due to the continued pressures on men to earn a good income. According to the 2016 National Study of the Changing Workforce, 64 percent of Americans feel that fathers should contribute financially even if taking care of the home and children. Millennials are just as likely to agree with this statement as baby boomers. In my own research published in my book Superdads, fathers continually expressed frustration at not being able to balance work and family. It’s no longer a question of whether fathers want to be more active in their children’s lives, but how they will do so when workplace and government policies do not offer the support necessary. A big part of the problem is that the workplace has not really adjusted to working women and caregiving men. Instead the idea of the ideal worker, someone (usually a man) who can focus entirely on work while a partner (usually a woman) takes care of everything else, still holds power among employers. But the State of America’s Fathers report reveals that most workers have some family responsibilities, and only a minority of families fit the “traditional” breadwinner father, homemaker mother model. Only 20 percent of couples live off of one income. This means that most fathers have partners, female or male, who also work, and more single fathers have shared or primary custody of their children. These men do not have the choice to push off caregiving onto someone else. Like working mothers, working fathers face stigma when they seek greater flexibility in the workplace. A very similar number of fathers (43 percent) and mothers (41 percent) think asking for flexibility could have a negative impact on their careers. In addition, there is evidence that leave-taking negatively impacts chances of promotion, frequency of raises, and performance evaluations, and these penalties are stronger for men than women. Men who seek flexibility are even seen as less masculine. Why should we be so concerned about men’s ability to balance work and family? The simple answer is that fathers who take leave and spend more time with their children are really good for their families. Their children benefit from better cognitive, behavioral, psychological and social outcomes. According to the State of America’s Fathers report, these fathers also pave a path toward greater gender equality as their sons are more accepting of gender equality while their daughters feel more empowered. Their partners benefit because they are more likely to be satisfied with their relationships and less likely to experience postpartum depression. They are also more able to focus on their own careers, which has the potential to benefit the larger economy as well, with one estimate showing an increase of 5 percent in GDP if women’s labor force participation rate equaled men’s rate. Fathers themselves benefit by engaging in healthier behaviors and creating more ties to family and community. And in the end, men are just as capable of caring for children as women. It is the act of providing direct care for a child that increases one’s capacity for caregiving. Men’s body chemistry reacts the same way as women’s to close physical contact with infants. In other words, fathers show similar hormonal changes, and this means they can experience similar levels of bonding with their children. In an analysis of policies in 185 countries, the International Labour Organization finds that the U.S. is only one of two countries that does not guarantee paid parental leave. In fact, the U.S. ranks dead last among 38 OECD nations in government-supported time off for new parents. Our only national policy, the Family and Medical Leave Act (FMLA) of 1993, offers up to 12 weeks of leave, but in addition to being unpaid, it only covers about three-fifths of workers due to a number of restrictions. The act only applies to employers with 50 or more employees and only covers employees who have worked for that employer for at least one year. Additionally, 20 percent of employers that are required to comply with the FMLA offer fewer than 12 weeks of leave to employees who are spouses/partners of new mothers (mainly fathers), in direct violation of the law. Amazingly, only 12 percent of U.S. workers in the private sector have access to paid family leave, and this applies to a paltry 5 percent for low-income workers. 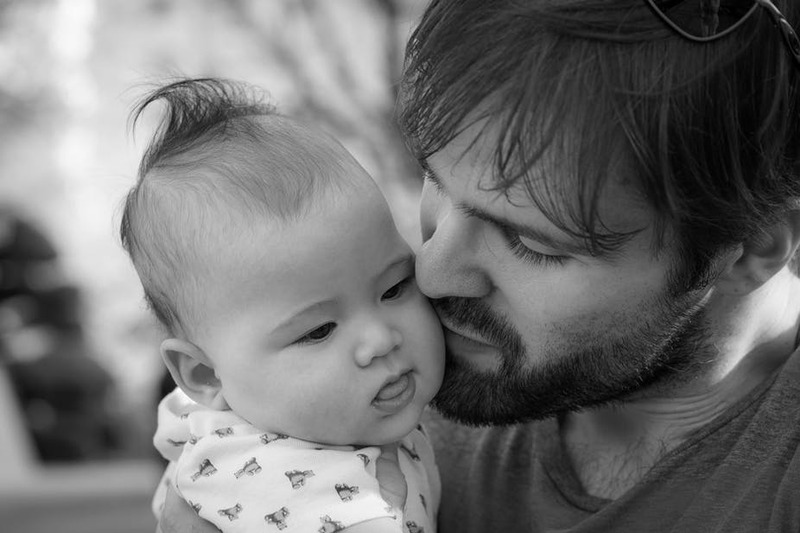 Worldwide paternity leave is becoming more prevalent, with 71 countries now offering it. Fathers are most likely to take leave when it is specifically designated for them. Around 90 percent of fathers in Nordic countries take leave. These programs may seem out of reach, but we have seen successful paid leave in the U.S. Funded by a very small payroll tax of 0.9 percent, California’s groundbreaking Paid Family Leave program helped new parents spend more time caring for their children. At the same time most employers have seen no cost increases or abuse and in fact witness less turnover as employees are able to care for their new children and return to work. We are also starting to see more models of paid leave among companies such as Ernst & Young, Facebook and Twitter, but I would argue we need something more far-reaching. The FAMILY Act, for example, proposed by U.S. Senator Kirsten Gillibrand of New York to provide up to 12 weeks of paid leave, is a start. This will help fathers to have it all, and be the parents they want to be.